Emilio Aguinaldo was a revolutionary leader and first President of Philippines (1899-1901) who led his country to gain independence from Spain. At the young age of 17, he became the chief barrio (the municipal governor) of his town Cavite el Viejo (present-day Kawit). He joined the Pilar Lodge chapter of the government-banned resistance group Freemasonry in 1895 and led a revolution against Spanish colonial rule. He married Hilaria del Rosario on January 1, 1896 and had five children with her. After Hilaria's death in 1921 from leprosy, he married his second wife Maria Agoncillo. Maria died in 1963 and the following year Aguinaldo also died of a heart attack. Aguinaldo ran for presidency against Manuel L. Quezon in the Philippine presidential election of 1935 and lost massively. Emilio Auginaldo (left) and Manuel Quezon (right) during the 1935 campaign. "General Aguinaldo boards the U.S.S Vicksburg, 1900". 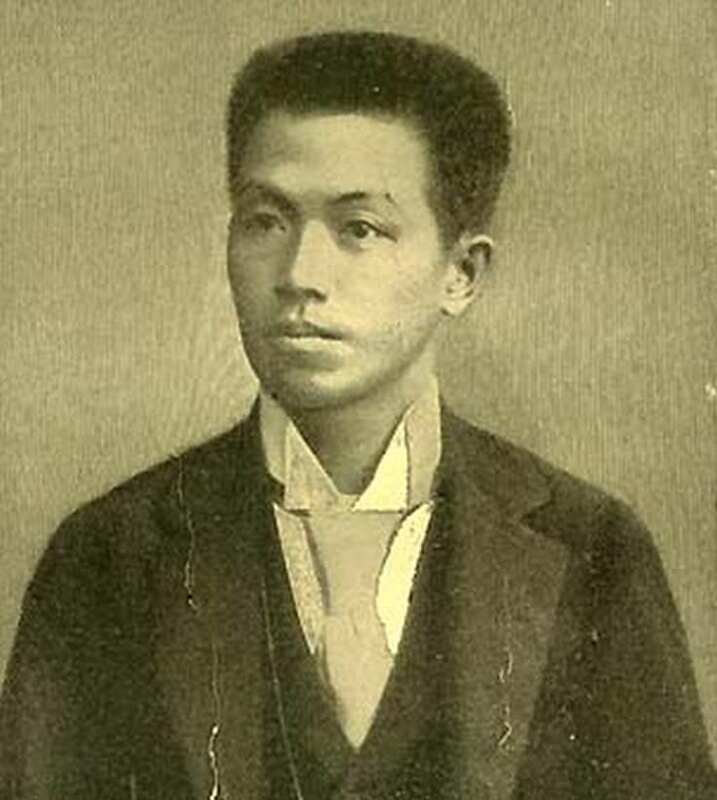 Emilio Aguinaldo was a famous Filipino statesman, who was born on March 22, 1869. As a person born on this date, Emilio Aguinaldo is listed in our database as the 5th most popular celebrity for the day (March 22) and the 5th most popular for the year (1869). People born on March 22 fall under the Zodiac sign of Aries, the Ram. Emilio Aguinaldo is the 359th most popular Aries. Aside from information specific to Emilio Aguinaldo's birthday, Emilio Aguinaldo is the 7th most famous Filipino. In general, Emilio Aguinaldo ranks as the 4047th most popular famous person of all time. “The Famous Birthdays” catalogs over 25,000 famous people, everyone from actors to singers to scientists to serial killers and more. If you're curious to see who was born on your birthday, you can use our database to find out who, what, where, when and why. You can search by birthday, birthplace, claim to fame or any other information by typing in the search box, or simply browse our site by selecting the month, the day, the horoscope, or any other clickable option.